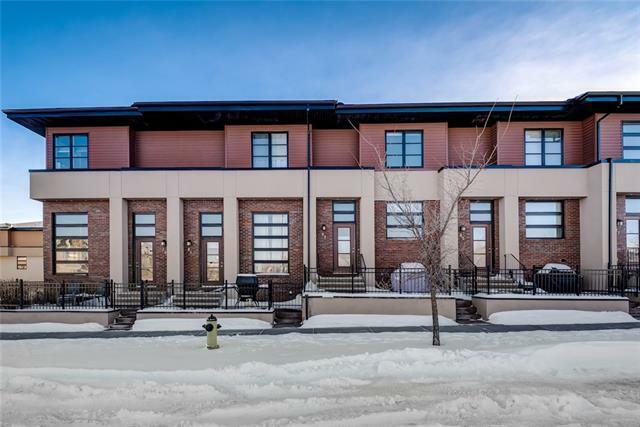 This beautiful townhouse is located on a quiet street in desirable Aspen Woods featuring the popular double master bedroom plan. 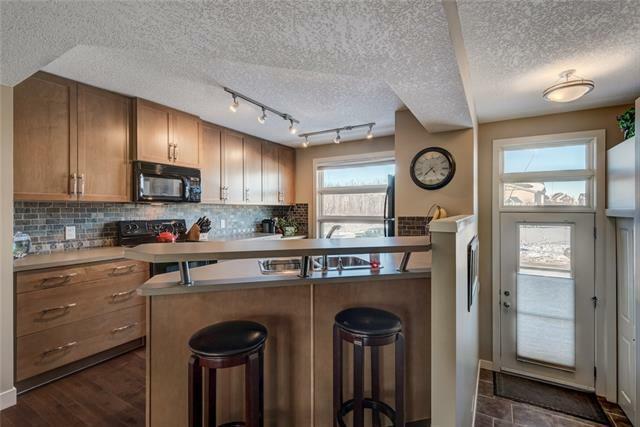 The main level is an open concept layout showcasing the spacious living/dining/kitchen areas with hardwood floors. 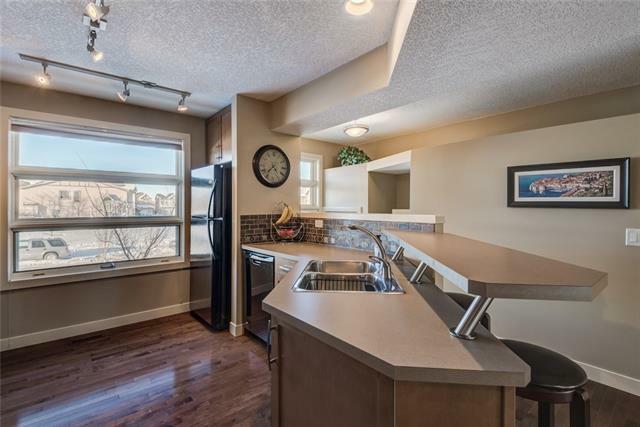 The kitchen boasts loads of counter space, full height cabinets, large picture window and raised breakfast bar. Transitioning into the living room there is room for a good size dining area not common in some plans. The living room is has plenty of space for furniture and has access to a private balcony. As you arrive on the upper level you will notice the flex area perfect for a home office. Both bedrooms are nearly the same size and have their own en-suites. One has a shower insert where the other has a tub/shower combo. The basement has tons of space for the laundry room, storage, mechanicals and access to the double attached garage. 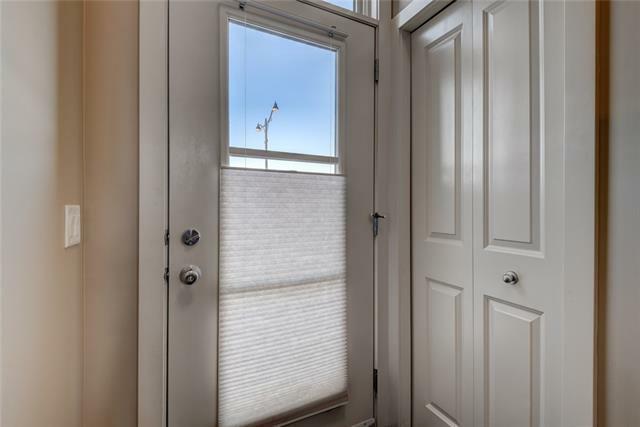 This townhouse even have a large patio out front to enjoy those spring and summer days to bbq. Extra parking found on the street.